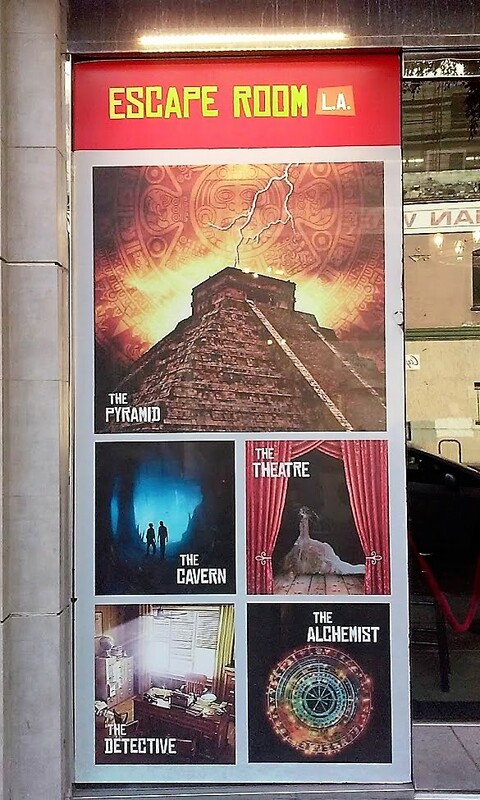 Located downtown, Escape Room L.A. offers multiple attractions on a daily basis, including the supernaturally themed The Theatre and The Alchemist. Each escape room is analogous to a live-action interactive hidden objects game, with time limits ranging from fifty to sixty minutes. Participants should allow an hour and a half for the complete experience, including pre-game orientation and post-game wrap-up. Prices range from $33 to $39, depending on the day and time. There is convenient parking on a rooftop lot across the alley from the building in which Escape Room L.A. is located. There is also some metered street parking.